Most online companies come under scrutiny at some point, especially once they become successful. This is doubly true for companies offering innovative treatments for long-term medical conditions. The internet is a wonderful tool, which allows anyone and everyone to share their opinion—and it’s all too easy to find someone who will support an unverified claim (which, to be fair, works both ways). The Neuropathy Treatment Group is a legally registered LLC which developed and distributes the Neuropathy Support Formula. The NTG has been a member of the Better Business Bureau since 2013, and has consistently maintained an A- rating with the BBB. 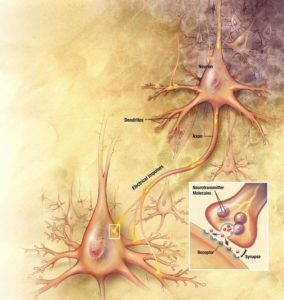 Its president, Wes Jones, is a visible presence on the group’s website, with an introduction written by Mr. Jones to help explain what Nerve Renew is and why it works. Why Is It Being Called a Scam? 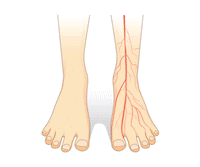 First, it is a neuropathy supplement, which is a somewhat controversial concept in itself. Furthermore, it is advertised as treating a condition which modern medicine has largely failed to address, or completely ignored and denied even exists. There are people who have difficulty accepting this assertion as even being a possibility. There have been complaints regarding the NTG’s returns policy, and their fulfillment of their guarantee. Finally, several years ago, the Neuropathy Treatment Group rebranded their product, which used to be called Neuropathy Support Formula. This was done in the interests of having a less generic name, which would allow the company to reach a wider audience. This is basic internet marketing, but to some people—individuals who were already asking questions—it wrongfully sent up a red flag. The supplement is not being marketed as a miracle cure, but rather as a formula with substantial potential for managing the symptoms of a disabling condition over time. Medical science has not “failed” to do this, insofar as the very tools it would use for such a purpose are present in the formula. The most important vitamins for nervous system health, coupled with a range of herbal supplements also shown to support the nervous system, have been combined into a proprietary formula. Forms of these substances are used which are easy for the body to absorb, ensuring that the supplement gets to where it needs to go. The Neuropathy Treatment Group has repeatedly acted to address grievances made known to its customer service department, issuing refunds and canceling accounts as requested. The staff are proud of their customer service policy, and stick religiously to their no-questions-asked guarantee and return policy. Not every person has been satisfied by this—a statement which might be made about any establishment or organization in existence. The anatomy of a scam isn’t complicated. It simply takes a lot of work, and often a lot of help. While Wes Jones, president of the NTG, has his name all over his website (and is personally registered with the Better Business Bureau), the perpetrators of a scam will lie, avoid personal references, and use false (often stolen) identities to cover their tracks. A fake company will, when the heat is on, disappear, only to pop up untraceably under another name at some later point in time—only to begin the same scam all over again. This is how they make their money. They do not typically register with organizations like the Better Business Bureau, where the NTG has been registered since 2013. 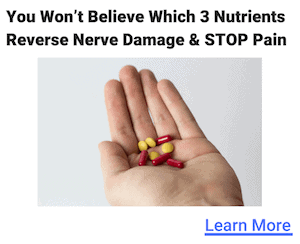 They rarely honor guarantees, they don’t honor returns or refunds, and they often use fake testimonials—not the actual, first-and-last-name identities displayed (with consent) on the Neuropathy Treatment Group’s website. A fake company does not invest a great deal of money into advertising or promotions. They don’t give back money that they have in hand. Rather, they keep expenses as low as possible. The game may be up after they’ve earned only a few thousand dollars; in that case, the process of tearing everything down (and then setting up again under another name) needs to be economically viable. There are a few other points of interest, which help to convey the genuine intent behind the Neuropathy Treatment Group. Customer service by phone. Call the NTG’s customer service hotline for help, advice, or information. Customer service is managed directly, in the company’s Idaho-based headquarters. It is not outsourced; the knowledgeable office staff will be able to answer product-related questions, and to help a customer out with any issues they might be having. More than 100 positive reviews. 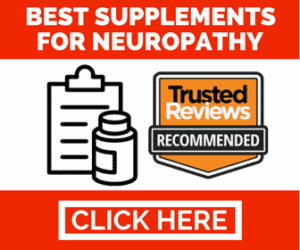 The Neuropathy Treatment Group’s website features more than 100 reviews from delighted customers, many of whom had suffered with symptoms of peripheral neuropathy for years. Additional positive response. The company has more than 50,000 social media followers, and an extensive following elsewhere online. Helpful tips and advice on pain management. 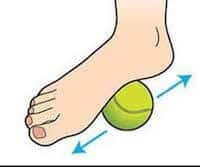 The NTG provides a blog filled with useful information to assist individuals who are suffering with peripheral neuropathy. They also offer a free eBook to advise about cooking healthy food for better nervous system support. Everything the NTG does is consistent with current trends in digital marketing, not a fly-by-night company.